In the Star Wars films, walkers were vehicles that were usually military, that used mechanical legs as its primary method of locomotion over the landscape rather than the more common repulsors, wheels, or treads. Its primary use was for ground assault or transport. In the original trilogy (the first three Star Wars movies made, IV, V, and VI), there is the All Terrain Armored Transport (AT-AT) and the All Terrain Scout Transport (AT-ST). In the prequel trilogy (the last three movies made I, II, and III) and the Star Wars Expanded Universe, there are numerous other types of walkers. Star Wars has popularized the use of walkers and mecha in various media, which usually bear a similar resemblance to the bipedal AT-ST. Star Wars walkers have inspired the use of mecha in film, video games, board games, books, TV shows, and Japanese anime. George Lucas claims that he got the original idea for walkers from the cargo lifters which reside in the port of Oakland. “Mecha, also known as meka or mechs, is a broad genre of walking vehicles which are usually controlled by a pilot. Mecha often appear in anime, science fiction, and other genres involving fantastic or futuristic elements. Mecha are generally, though not necessarily, bipedal, with arms, hands, and usually fingers capable of grasping objects. A mecha that approximates the shape of a human body allows the use of martial arts movements and swordsmanship, ceremonial acts of honor, saluting, and other human mannerisms that cannot be performed using a tank or airplane. In most fiction in which they appear, mecha are war machines: essentially armored fighting vehicles with legs instead of treads or wheels. Some stories, such as the manga Patlabor and American wargame BattleTech, also encompass mecha used for civilian purposes such as heavy construction work, police functions or firefighting. Some science fiction universes posit that mecha are the primary means of combat, with conflicts sometimes being decided through gladiatorial matches. Others represent mecha as one component of an integrated military force, supported by and fighting alongside tanks, fighter aircraft, and infantry, functioning as a mechanical cavalry. The applications often highlight the theoretical usefulness of such a device, combining a tank’s resilience and fire power with infantry’s ability to cross unstable terrain. In other cases they are demonstrated with a greater versatility in armament, such as in the Armored Core series of video games where mecha can utilize their hands to carry a wide range of armament in the same manner as a person albeit on a much larger scale. In real-life a walker (also known as a mecha), is a vehicle that moves on legs rather than wheels or tracks. Walkers have been constructed with anywhere from one to more than eight legs. They are classified according to the number of legs with common configurations being one leg (pogo stick or “hopper”), two legs (biped), four legs (quadruped), and six legs (hexapod). The Walking Truck (Cybernetic Walking Machine) was an experimental quadruped robot built by General Electric in 1968. It was designed by Ralph Mosher to help infantry carry equipment over rough terrain. The stepping of the robot was controlled by a human operator through foot and hand movements coupled to hydraulic valves. The complex movements of the legs and body pose were done entirely through hydraulics. The hydraulic fluid and pressure was supplied through an off-board system. The Walking Truck can be seen at the U.S. Army Transportation Museum in Fort Eustis, VA. (Wickelgren, 1996). The robot weighted 3,000 pounds and could walk up to 5 miles an hour. It was exhausting to control and operators, according to program lead Ralph Mosher who was the primary driver, could only drive the Walking Truck for a limited time. The Land Walker is a one-man, two-legged supposed walker transport, 3.40 metres in height. Made with the assistance of P.A. Technology, the walker is copyright of the Sakakibara Kikai Co. and Ltd. The vehicle’s design features a c*ckpit, two legs, and two air cannons (each firing large rubber balls which ironically cost more than bullets). The legs end in feet containing wheels that help push the walker forward. The walker’s usual speed is approximately 1.5 km/h. It does not actually walk, however, instead shuffling on wheels hidden under its “feet.” This means it is not technically a walker; it merely has the appearance of one. This mecha will not work on terrain that is not entirely flat as it would just fall over. The T-52 Enryu (T-52 援竜, lit. rescue dragon), sometimes referred to as “HyperRescueRobot”, is a five-ton, 3 meter tall (approx. 10 ft), hydraulically-operated robot, built to cut a path through debris for rescue workers, in the wake of an earthquake or other catastrophe. It can perform heavy lifting of up to one ton, and its arms have the full range of motion available to the human arm. The Enryu was designed by the Japanese company Tmsuk, and a prototype was unveiled in March, 2004 in Japan. As of 2006, the robot conducted a performance test at Nagaoka University of Technology and successfully lifted a car from a snowbank. TMSUK developed the robot in cooperation with Kyoto University, the Kitakyushu Fire Department and Japan’s National Research Institute of Fire and Disaster in Tokyo. The 3.5 metre-tall robot can either be driven from a c*ckpit positioned at the front of the robot or it can be controlled remotely as like its cousin the Banryu, it contains multiple CCD cameras which transmit to the remote driver – in this case, it has seven 6.8-megapixel CCD cams mounted on its “head”, “torso” and “arms”. 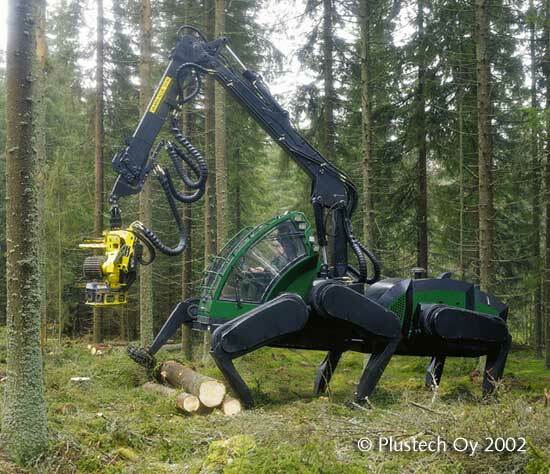 John Deere’s hexapod Walking Forest Machine is a type of real walker. Two smaller walkers, that do not carry a pilot (or passengers), are BigDog and LittleDog who are both used in the military. Real walkers have been created and are quite possible, although many are limited. For more information on the practicality of mecha as war machines, click here. In the Star Wars films, lightsabers (also called laser swords by the uneducated) are depicted as a one-handed or two-handed weapon that have a polished metal hilt (between about twenty and thirty-five centimeters in length typically) which projects a blade of plasma energy (suspended in a force containment field) about 39 inches long (one meter). 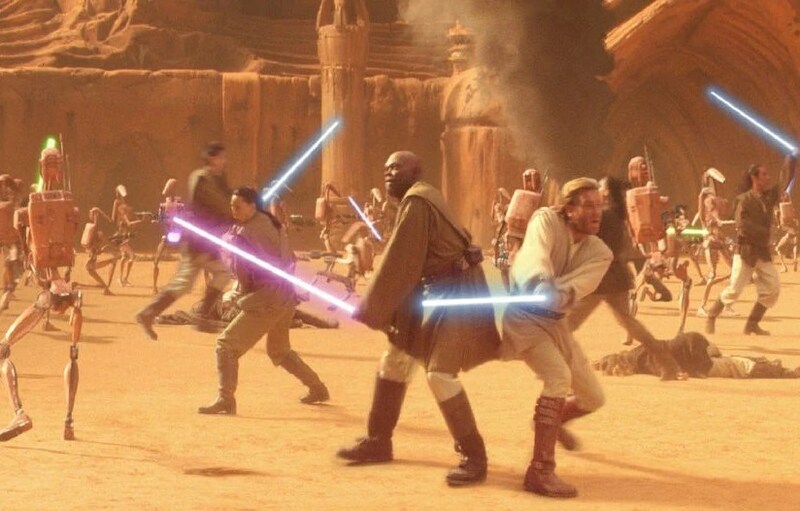 The blade did not radiate heat or expend energy until it came into contact with a solid object, although it could cut through almost anything (except for a few lightsaber-resistant materials). The field contained the immense heat of the plasma, protecting the wielder, and allowed the blade to keep its shape. The plasma was projected through a set of focusing crystals (three crystals would usually be used, although only one was required) that lent the blade its properties and allowed the adjustment of the blade length and power output. In the Expanded Universe, lightsabers had many blade and hilt variation. Each lightsaber was designed to meet the user’s specific needs, preferences, and styles. They were primarily used during combat and rituals. 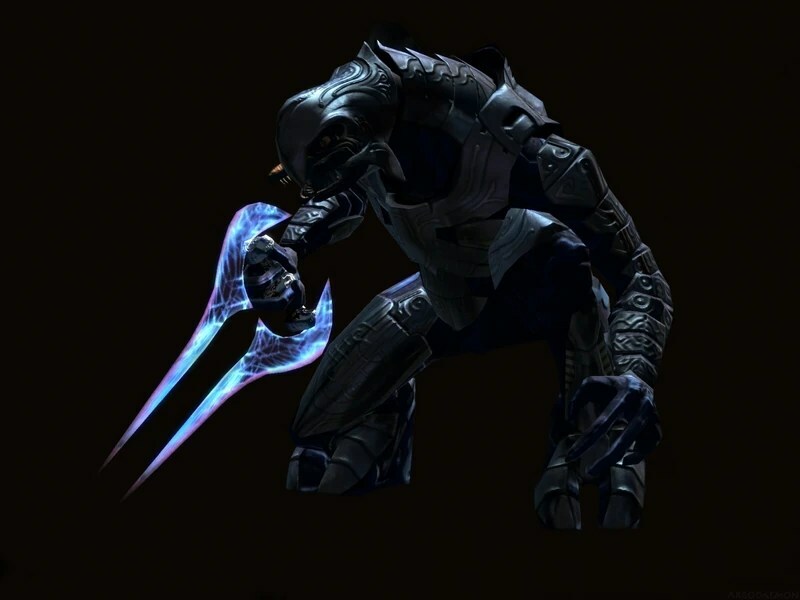 In real-life, light cannot be formed and utilized into a solid blade (as it is designed to travel continuously and not be stopped, in this case, at three feet without completely restricting the strength of the rest of the blade), there are other alternatives; however, including plasma swords (similar to those in Halo), black holes, and carbon nanotubes. Many commandos can easily die from blood loss from traumatic wounds due to gunfire, shrapnel, or from even grenades. That is why, the military has already started field-testing a Plasma Knife. It will be used for emergencies when the commandos are without the luxury of medical backup while in the field. The knife’s blade consists of heated, ionized gas, which easily cuts through flesh and cauterizes the wound on contact. Through cauterization, the damaged flesh can be protected from excessive bleeding and infection. A normal medical Plasma Knife relies primarily on a strong power source, but the commando version’s only drawback is it’s low-power although it is wearable and easily transported. While it can not be used as a weapon very easily (as it would quickly run out of power), it is still pretty close to a ‘real’ lightsaber like the ones shown in the movies. A thin, carbon nanotube wire (a nano is a billionth of a meter), strong enough to not break, but thin enough to cut through a solid object could be used to make a weapon that could slice through almost anything. The problem with this idea is that, the user or the victim could not see the ‘blade’ because of its small size resulting in an accidental injury or fatality, or even the possibility of it being misplaced. In order for it to be handled properly, a handle would be needed at one end; however, it would throw off the balance of the whole weapon itself because of the lack of a equal amount of weight on the opposite end. This could possibly be solved if the ‘sharp end’ had a magnet on it and the handle end had an electromagnet stretching the carbon nanotube out; however, it would only be able to be used for slicing or cutting not stabbing. A wedge-like blade would not work because it bends the top of what it is slicing, often creating cracks in the object or victim instead of a sharp clean cut. A small black hole could not be used, at this point, because it is too heavy to wield and because of its short lifespan (resulting in a massive ball of fire). It has also been suggested that a lightsaber could use glass filaments that extend when gigawatts of laser energy (stored in a non-existent power source) are pumped through it when it is turned on. The Spyder III Pro Arctic is one (if not, the one) of the most lightsaber-like weapon that actually exists in real-life. The Spyder III, made by Wicked Lasers, is also the most powerful portable laser that uses only 1 Watt released that costs a mere $200. The blue-laser diode is from a dismantled Casio projector (the new mercury-free Green Slim projector, specifically) that Wicked Lasers used to make it. They are also throwing in a free pair of safety-glasses with the purchase of the Spyder III. If you are not trained in the Jedi arts, then this is not for you. While there needs to be quite a lot of development in these kinds of technology, we can still dream, and maybe someday some brilliant scientist or student could eventually make one without making it completely out of plastic (or paper). Who knows, maybe we could find a way to make lasers to stop at a point (without it being fatal) for a real, practical, working lightsaber. While I am sure that jet packs are being designed to propel the user from the ground, I highly doubt that they are currently also being designed for use as weapons. However, in the film, the repulsors assist in flight, but with a little tweaking, the glove repulsor thrusters and the uni-beam projector at the center of his chest are utilized for yet another use: firepower. Tony Stark’s ‘repulsor technology’ has not been invented yet in real-life, but we do have particle beam weapons, lasers, and ‘sound bullets’. In real-life there is some technology similar to repulsor rays that are real or even practicable; most, however, are purely science fiction. The repulsor technology (in the film) does not have moving parts, it imparts kinetic force on the target, it charges quickly, there is no visible thermal or chemical damage, they are independent from the rest of the suit, and there is a recoil when they are fired. A particle beam weapon uses an electromagnetic field generator to focus ionized particles into a centralized sphere of heat and energy. Which, with a sudden reverse of current, can be shot out in an energy-ball type form. This kind of weapon works by disrupting electric circuits and electronic devices in its targets. It can also damage or melt its target by the electrical resistance heating of the target. If living tissue, such as humans or animals, were to be caught by the electrical discharge of an electron beam weapon, they would be most likely electrocuted. Most of the weapons in Iron Man are real and practical such as the dual arm-mounted 9mm submachine guns, shoulder-mounted minigun, shoulder deployed bunker buster missile launchers, anti-tank missiles, anti-personnel guns in the shoulders, flare launchers on the hips, multi-fire adhesive grenade launcher on the upper arm, and a one-time-use hand-mounted laser weapon added to the various suits shown in the Iron Man films. They would simply have to be added to the armor itself. Several experimental particle beam weapons were tested at scientific laboratories such as the Los Alamos National Laboratory in New Mexico by both the United States and the USSR from the 1950s to the 1980s. The U.S. Defense Strategic Defense Initiative Organization put into development the technology of a neutral particle beam for strategic defense applications. Work on a weapon such as this is being developed by Sandia National Laboratories (a portion of Lockheed Martin Co.) in Sandia, New Mexico. Work on a $40 Million Ion Beam Facility at Kirtland Air Force Base has begun. It will house six accelerators; and is scheduled for occupancy this year. The quest to design a controlled fusion reaction is currently underway at the Lawrence Livermore National Laboratory’s National Ignition Facility (NIF), with scientists reporting that early progress ahead of ignition experiments (which are set to start later this year). The main aim of the world’s largest laser—which is the size of three football fields—is to develop a carbon-free, limitless fusion energy. 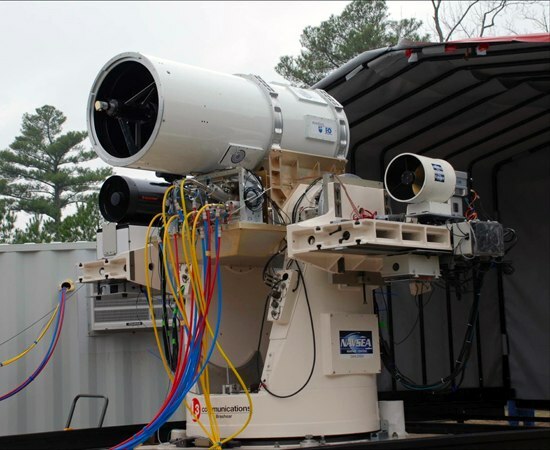 The Navy has been testing laser-armed robotic guns for defense against incoming missiles. It has already been used to knock a drone out of the sky. CIWS are generally outfitted with a 20mm Gatling gun, as a ship’s last line of defense against incoming missiles. If they can make the transition to lasers, there are two advantages: first, they do not have to be reloaded; and second, when used on land, there will not be as much shrapnel lying around as they destroy more of the threat than the Gatling guns do. At the California Institute of Technology, a team of researchers, in Pasadena think that they have found a way to make sound waves even more powerful with a new type of acoustic lens. It works by generating ‘sound bullets’ that shoot through the air much like a traditional bullet. Acoustic lenses are used to focus sound in a similar way that an optical lens focuses light. Instead of using glass and mirrors, they designed a acoustic lens that is made of 21 rows of stainless-steel spheres, with each row having its own 21 spheres. By striking the top portion of the lens (the first sphere in each row), it generates acoustic solitary waves so that the researchers can send a compressive wave to each stack or row. These waves are then transmitted into whatever is on the other side of the lens. Now that you know everything there is to know about the fictional and real-life Iron Man technology, AI, weapons, jet packs, and suits of armor, are you going to learn from these inventors, programmers, and designers and invent/build/design your own. Who knows? You might become the next real Iron Man. Only the future will tell. The XOS exoskeleton is a powered exoskeleton, which is a powered mobile machine that is worn by a person to perform actions that could not usually be completed without the help of the machine or to protect the user from injury in a hostile environment, created by the company, Sarcos/Raytheon. It allows the user to do two hundred-pound pulldowns easily while only feeling about 10 pounds of the two hundred pounds. Lifting weight with a machine like this is a breeze with the robotic technology that is being utilized in this machine. It also increases the wearer’s reaction time. The exoskeleton’s built in computer follows and monitor’s the precise movements of the user, borrowing the user’s behavior thousands of times per second. By doing this, the powered exoskeleton amplifies the user’s strength with the help of the robotic exoskeleton. It is powered by an external power supply via a cable. The HAL (Hybrid Assistive Limb) exoskeleton, also known as HAL-5, is another powered exoskeleton that is being developed by Tsukuba University, a Japanese company. It is a 33.0693 pound battery-powered suit that monitors the muscle movements of the user’s skin through the electrical signal flow. These signals are sent to the computer which converts it into signals for controlling the motors on the hips and knees of the powered exoskeleton, amplifying the user’s muscle strength up to 5 times their normal strength. It was designed for older work force rather than for military use. A company called Cyberdyne is currently mass-producing the suits. It is powered by a waist-mounted 100-volt battery pack. An updated robotsuit version was released more recently that improves the user’s mobility and enables the wearer to carry more weight. It is going to be applied in ADL support for disabled people, heavy labour support at factories, and for rescue support at disaster sites, as well as in the entertainment field. HULC which was created by Lockheed Martin is another powered exoskeleton with 4 lithium ion batteries. It can be operated for 48-hours. It allows the wearer to travel 10-miles-per-hour while carrying 200 pounds without hardly even feeling the extra weight. This would allow the soldier to carry more equipment without more strain. 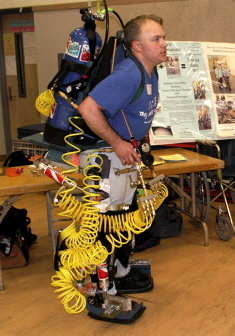 Other suits like the ExoHiker (pictured above) have been made that allow the lower-body exoskeleton to charge itself through the act of walking using regenerative force; while, at the same time, taking a load of the wearer’s back using only a few watts of power. It was created by Berkeley Bionics. Troy Hurtubise; a Canadian inventor, outdoorsman, and martial artist, spent his entire family fortune, almost one thousand hours of construction, and twenty-years to develop what he says is a “a suit of armor that can protect the wearer against any attack.” This superhuman suit of armor looks a lot like what you might see in video games and science fiction movies. It has been called the ‘Halo suit’, after the fictional MJOLNIR battle armorMaster Chief wears in the Xbox and PC games. Ever since he was attacked by a bear, he has been on a quest for invincibility, even consulting physicists, biologists, and zoologists about the exact amounts of force and the dangers a human would face should they be in a bear attack. This is footage of the suit of armor that he created that was intended to protect the user from bear attacks. This 40-pound suit, which looks something between a commando, ninja assassin, and Iron Man, is what he calls ‘The Trojan’. “It is the first full exoskeleton ballistic suit of body armor.” This suit features two magnetic hip holsters for holding a vast array of dangerous weaponry, a small detachable RC vehicle for seeing around corners or away from the user, laser-targeting sensors that are set to the user’s line of sight, a five-way-radio, a built-in voice changer, a microphone on the arm for recording last words of dying soldiers, pepper spray that can scatter a mob of at least 40 people, a solar powered air-conditioning unit, and a world clock with 20 time-zones near the crotch area. Underneath the armor itself is a substance that Troy designed called “shadow armor” that can stop any knives, bullets, shrapnel, and explosives. The materials for his armor prototypes that he has built were salvaged from his junk yard business, and composites of his own design. It is powered by helmet-mounted, solar-powered battery packs. $150,000 later, he had his own armor that could protect him from almost any attack. At 5 feet, 8 inches Troy is not a terribly tall guy, but when he wears the armored suit, he towers over everyone at 7 feet, 3 inches. His suit of armor is bulletproof, nightproof, shockproof, and bombproof full body armor. He began hearing from friends from Iraq and Afghanistan asking if he could find a way to help them survive I.E.D.’s (Improvised Explosive Devices) while having the flexibility and lightness required for the battlefield. He began to look at his earlier designs which were based off of designs from Star Wars and Halo because he believes that the best designs come from creativity, not just engineering prowess. He has yet to secure a contract with the military, but he has already done real-world testing. Troy has said that he could begin mass producing armor units immediately for only $15,000 dollars once he has military buyers. He began speaking with professionals in the field including the United States Rangers, Green Berets, and Canadian Special Forces. He told them what he was making, and what they needed that should be a part of the suit. He was interrupted and they gave him numerous ideas, which he used when he went about making the design. He believed that he should speak of their needs for a suit of armor with the soldiers instead of the generals and politicians in order to ensure that his armor would succeed where large military Research and Development budgets had failed. He interviewed every soldier that had been in the war zone that he could find. He was told by a Ranger that the helmet needed to be durable against shots-to-the-head, and that it had to have a coolant system in it while working in high temperatures. A sniper told him that when they are in a ambush situations with sniper fire, only the guy in the front can see where the sniper is, and has no way to signal back the sniper’s location so that he can be taken out. So Troy designed a laser tracking system that is perfectly centered that puts a laser beam along the user’s line of a sight, so a soldier just needs to give the order. He also designed the pepper spray so that a soldier that is out of ammunition still has a way of defense and can retreat from dangerous situations. The Trojan suits represent Troy’s vision of the future soldier, which is more like a walking tank that is intimidating to the wearer’s enemies. It was also intended for use by police officers. Despite his claims concerning its protective capability, it has been criticized by some for being impractical. He has stood up in raging bonfires, been burnt alive, beaten with baseball bats, picked fights with bears, been hit by speeding trucks, knocked down by chain-held swinging tree trunks, thrown off of cliffs, and been shot at with double-barreled shotguns and by various military grade weapons all while wearing this extremely durable armor. Sadly, he went bankrupt after spending most of his money on the advanced suit of armor that he created. Although he did try to sell the prototype of the suit on Ebay, the auction’s reserve bid was not met. The Lifesuit (Prototype 14) was built by Monty Reed with the idea to replace the wheelchair rather than for use in the military. Monty suffered from a severe back injury after a parachute crash and was told that he would never walk again. So he began his work on the Lifesuit. It is powered by compressed air that allows the suit to move 2.5 miles per hour. Prototype 14 (or LS14), the latest build of the Lifesuit, uses a system of compressed air that automates the process, and also allow the wearer to pick up objects that are as heavy as 200 pounds. Three versions of the suit are currently being developed; the Home Suit, which is a type of walking wheelchair; the Rescue Suit, which aids workers at disaster sites, allowing them to lift and clear rubble with ease; and the Rehab Suit, which assists everyone from the elderly and paraplegics to train and exercise their bodies. While the power sources of most of these machines are not portable, it is currently impossible to power such machines with the same kind of power that is necessary as Tony Stark’s Arc Reactor which is (in the first Iron Man film) a clean energy source. The ARC Reactor’s energy that is generated by his suit contains even more energy than any existing nuclear power plant. Creating a device as small and as powerful such as this one; if it existed, would solve many of the world’s power problems assuming the materials (if any) could be obtained. 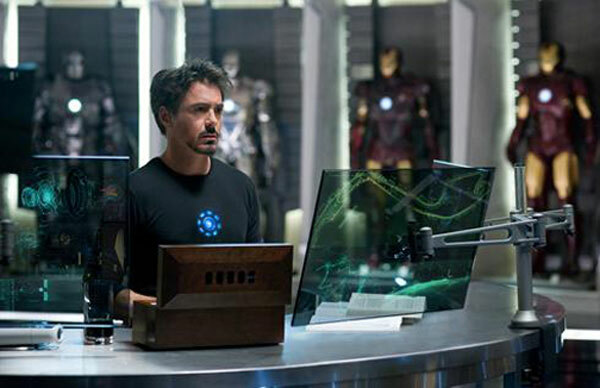 Chad Barraford, who currently resides in Brookline, Massachusetts, was inspired by the movie Iron Man and decided that he wanted to turn the fictional AI, Jarvis (the speaking AI that allows Tony Stark to monitor his home, workshop, and build his Iron Man armor) into a reality. Using RFID tags, wall speakers, X10 home automation system, xTag wireless microphone, and doing it all using a 4-year-old Mac Mini computer that features built-in speech recognition for $691.98 he did just that. His digital life assistant (DLA), which he calls “Project Jarvis”, listens and talks to him, monitors his apartment; changes the lighting, AC, and controls his household appliances, and keeps him up-to-date on current events. It gives/sends him real-time weather reports, breaking news, information on his Netflix account, bittorrenting, assistance for cooking, check stock quotes, Facebook notifications, and it even can track his Amazon packages. It can give him notifications about his bills, spending, income, bank fees, unusual spending, etc. Jarvis can also access Chad’s GPS using the Google Latitude service so Jarvis knows where Chad is located. Not only can he give it commands via Instant Messaging, a remote, or Twitter, but it can also talk back, and recognize Chad’s own voice. This works because of the system that he developed (using the AppleScript programming language) that allows his words to be interpreted through MacSpeech Dictate on his Mac Mini. Now that you already know all about Project Jarvis, you probably want a DLA yourself. When asked if the product would become available, Chad responded and said that he wanted to develop it to meet his own personal needs, and to create a two-way connection between him and his apartment. He recently stated that he would be releasing Project Jarvis as open source software soon so that it could become developed further by a community of programmers. So what is Project Jarvis? Project Jarvis’s fancy alarm clock and wake up alarm. Is this the future of personal computers? is Apple going to jump on this and develop their own DLA? is Microsoft? is Google? only time will tell.